We are much overdue for a homeschooling update, however, some technical issues (probably user interface based 🙂 have been getting in the way of posting. We have been busy since our last post in November! We had many end of term projects to wrap up for term 1 then it was all about Christmas! The kids were busy making Christmas cards for friends and designing and building our own gingerbread from scratch. A first for us! I was quite ill and as an activity to keep her brothers busy E made the gingerbread dough herself. A couple of days later as I recovered, we rolled it out and measured and cut the pieces then baked them. We had lots of interesting science and structures discussions how to attach the pieces and hold the entire thing together. In the end, Dad tied a string around it until the icing hardened. We admired our handiwork for about 24 hours then in the interest of our imminent departure for the holidays, we devoured it! We were in Ontario from Christmas until the 3rd week of January and as it is the deep dark winter there, endured some truly chilling temps. Our coldest day of the trip was -30C in a town about 100km north of Toronto. The kids enjoyed the snow and despite the cold we went outside to play almost everyday. Keeping up on our regular school work was tough so we decided to focus our time into a couple of research projects that tied into some of our sightseeing activities. 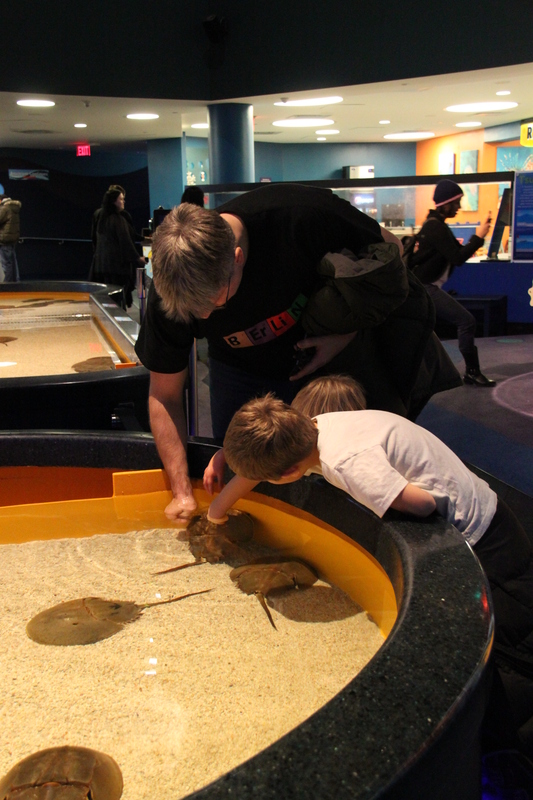 We had an amazing time exploring the new Ripley’s Aquarium in Toronto and D was inspired by the sharks. He begged and pleaded for a stuffed hammerhead shark from the gift shop so we made a deal: he could buy the shark IF he would learn all about hammerheads and prepare a report to demonstrate what he learned. We’ve been using a variety of sources to conduct our research such as magazines like National Geographic Kids, educational books and of course web resources. D watched a documentary on sharks and has a good understanding of their important role in the ecosystem as apex predators. E’s research was a little more intentional as I knew we needed to spend some time learning about Canada’s aboriginal people. We planned an outing to a nearby conservation area that has a traditional Iroquois village reconstructed on the original site which has been dated to the mid 1500s by archaeologists. We had the good fortune of visiting the longhouse at the same time as a school tour came through and so we were able to listen to the curator explain the various artifacts and describe the lives of the longhouse inhabitants. On the weekend we went to our local historic fort to celebrate the voyageurs and their intrinsic connection to the Metis people of Canada. E was fascinated by the Metis artifacts and enjoyed speaking the the Metis elders who were presenting their histories at the fort. We learned spoon jigging, Metis dancing and listened to traditional french-Canadian music by a local band. A week later we visited a local west coast longhouse to compare these different aboriginal experiences. Our guides were very helpful and answered many questions. An elder showed the kids how to make cedar bark into a variety of useful and decorative items and we tried our hand at weaving. 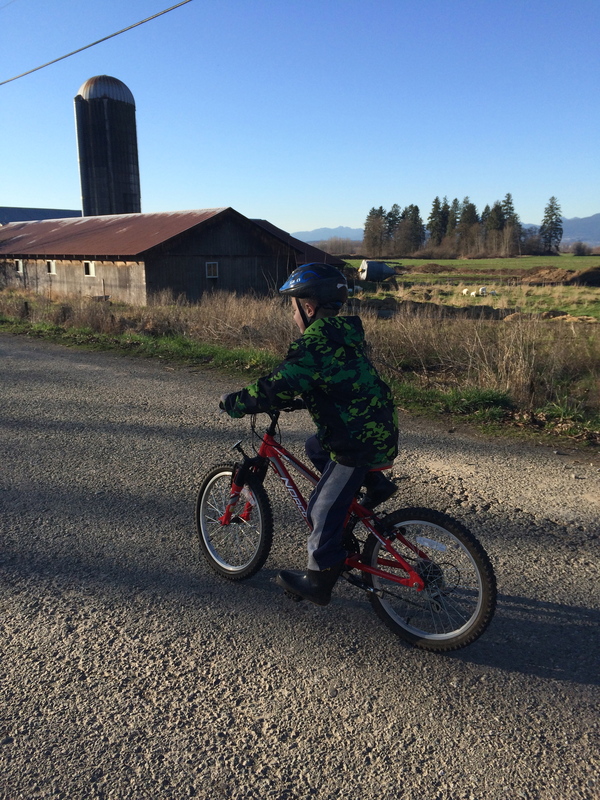 Coming back to the lower mainland gave us opportunity to get outdoors again in the milder weather conditions. We’ve been out hiking and cycling every weekend and E loves being back in her horse-back riding routine! D is trying a new gymnastics program and loves going to drop in times at the gym. Wow. 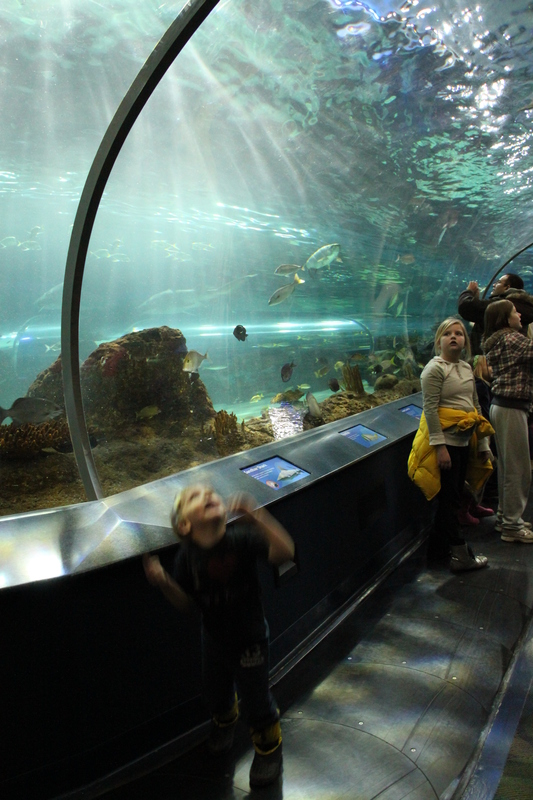 Ripley’s Aquarium looks pretty cool. 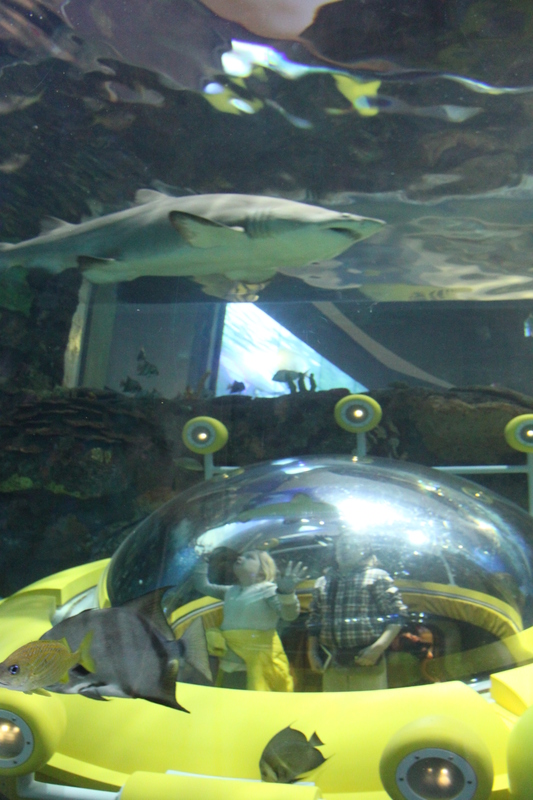 You can get up close and personal with the sharks.